Welcome to Day 2 of the May Release Party for Inspired By Stamping! Today we are featuring Background Basics II and Big Hope. The entire release will be available for purchase on May 10th at 7 p.m. Brisbane time (5 a.m. Eastern Standard Time). See the end of this post for more details, including Blog Candy. One of the three background stamps in the new set is this fabulous houndstooth (I have a blogging friend who looooves houndstooth...and you know who you are! ), which I used with a light blush color. I made a window with the brand new Fancy Labels Die and used a sentiment from Big Hope on the card base behind it. 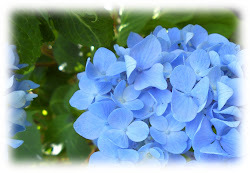 I used two flowers from Elegant Flowers, a release from this year, to create one new blossom. After stamping one large and one small rose and coloring them, I cut the stamens off the large one and attached it to the smaller one. The two layers are separated with foam dimensional stickers. Chances to win Blog Candy May 6th - May 10th! Check Joanna's blog for all the details. There will be winners daily! Hope you enjoyed today's card, and I'll see you tomorrow with more goodies! Beautiful card, love your coloring on the flower! So pretty! absolutely gorgeous! The houndstooth almost looks dry embossed...very pretty! 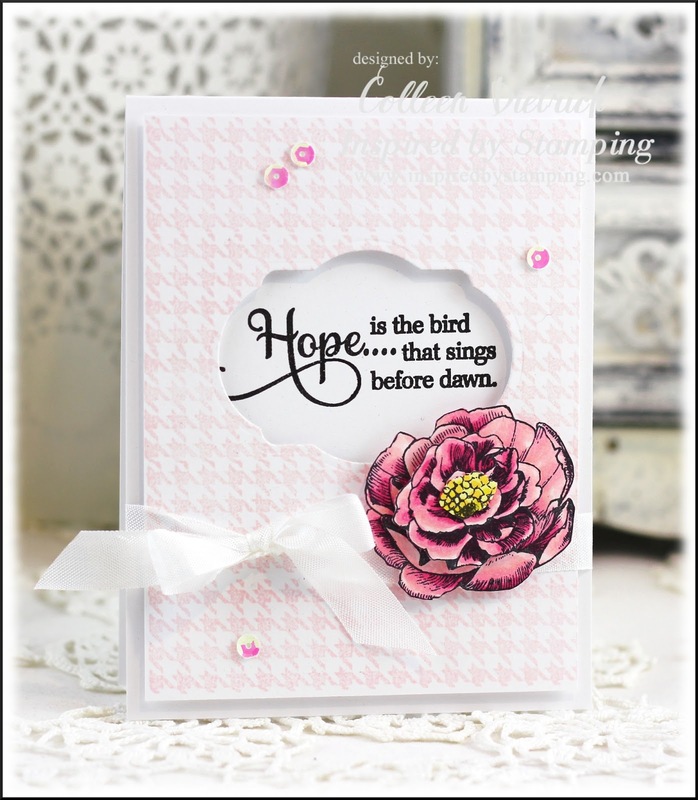 What a beautiful card Collen ..Just love the Bg stamping and the beautiful flower ...it looks so soft and elegant !! Am I being called out? LOL Oh my goodness, what a stunning card. The HOUNDSTOOTH in blush is speaking to me. Wow! 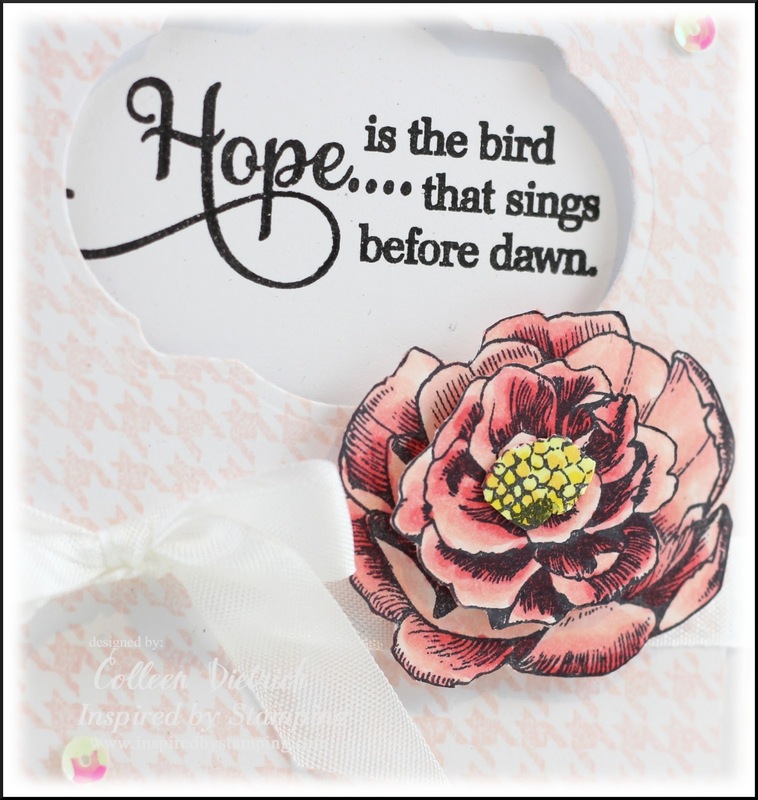 Oh, I love that Fancy Labels die and the sentiment is sooooo pretty..even has the word 'bird' in it. :-) I am getting a big dose of awesome things here. Of course, what you did with the rose is yummy. Great job on this beautiful card, Colleen. Soooooooo beautiful!! LOVING that gorgeous flower!!! Wow ! Its so elegant n gorgeous ! I loved the flower n window a lot ! Beautiful card, Colleen! Love the softness of the houndstooth with your perfect flower! Love the sentiment on the negative die! A beautiful card, Colleen. Your design and execution is just breathtaking. Adore the 3D aspect to the flower and the coloring is top notch. Such an elegant card, Colleen, and I love how you applied the sentiment behind the negative image. Your treatment of the rose is a stroke of GENIUS, and now I've learned a new technique! Thanks for the lovely inspiration! SO pretty! Love the window and the flower is so gorgeous! 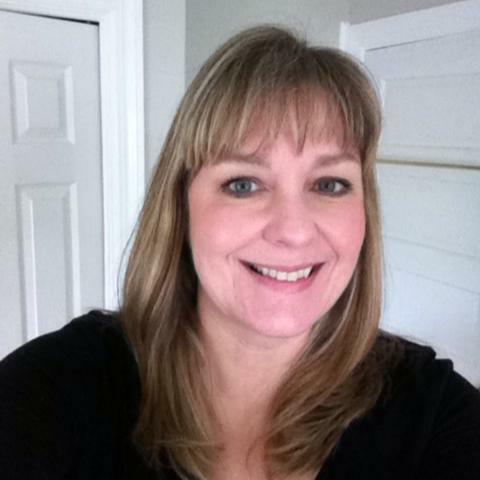 Simply lovely Colleen! The hounds tooth background looks great in soft pink and I really like your cut out for the sentiment! beautiful card Colleen. I love the opening in the center and the colored flower stamp. So elegant. I love houndstooth in blush! I wouldn't have thought to do it in this color, but I love it! Love the window and the fab sentiment too! LOVE the window with the FAB sentiment and that GORGEOUS flower! GREAT coloring, Colleen! Hi Colleen! You have been oh, SO busy, my friend! I caught up on all of your most recent posts (and enjoyed them all immensely! ), but alas, I don't have the time or energy to comment on each on individually tonight. I'm so sorry!! I just love this gorgeous creation--the window, the houndstooth, the trendy sequins, that fantastic blossom. All combine perfectly for an elegant card! This is beautiful Colleen. I love just the houndstooth stamping...so elegant...love those little sequins too. I finally managed to drop by! LOVE LOVE LOVE your gorgeousness of a card! Beautiful choice of colours (as always)and the work on that flower is to die for! I'm sure I saw this card yesterday on Pinterest. Your cards always catch my eye. I love love love the flower! Guess Who Is Featured Stamper?